A surge in consumer interest in feature-rich mobile solutions brought to life new types of devices, such as UMPCs, which combine functionality of personal computers with a compact form factor. However, classic ultraportable notebooks continue to evolve as well, and Fujitsu Siemens LIFEBOOK P7230 is the proof. The key highlight of this model is its top-notch communication features. Along with the standard LAN/Wi-Fi/Bluetooth, the notebook is also equipped with built-in UMTS/HSDPA (compatible with GSM/GPRS). And an integrated web camera with microphones will help you use broadband lanes to their full extent. All of these make P7230 one of the most feature-rich product in its class. Add to this a 3cm (1.18") thick stylish body, smaller than an A4 sheet of paper and lighter than 1.5 kg. The P7230 comes in the configuration specified in the table. Note that FSC plans to overhaul the P7230. The new modification will use Intel Core Duo U2500 1.20 GHz processor, a web camera of higher resolution, a new UMTS, and a battery of higher capacity. This hardware configuration is typical of ultraportable notebooks. The ultra-low voltage processor allows to prolong battery life and still provides sufficient performance in business applications. The Intel Core Solo U1400 is practically the cheapest product in its family, but it easily copes with most office tasks. Intel 945GMS chipset offers special power management features, it's optimized for ultraportable notebooks. In particular, it supports ULV processors and only one memory slot. Even though the memory works in the single-channel mode, DDR2 533 MHz memory is fast enough to feed data to a processor in time. You can now find 2 GB SODIMM memory modules in stores, so you can upgrade your memory capacity to this limit. 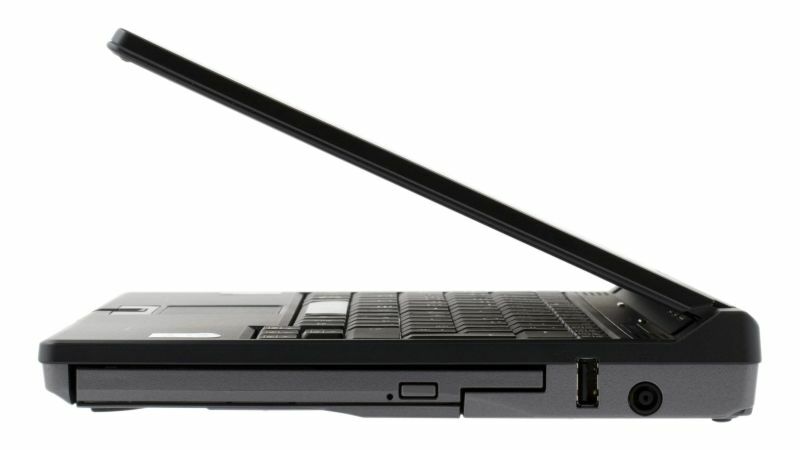 Ultraportable notebooks usually use integrated graphics. The P7230 is not an exception. Intel GMA 950 easily copes with Vista Aero, and it performs well in all other tasks, except for 3D games. The 10.6'' 1280x768 panel is equipped with LED backlight. This combination leads to a very small pixel size, so you should keep it in mind, when you choose a notebook. This notebook offers state-of-the-art communication features - a gigabit network controller, 802.11a/b/g controller, Bluetooth adapter, UMTS/GSM modem. There is no room left for the analog modem and an infrared port. However, it's not relevant, as the notebook is equipped with a cellular modem and Bluetooth. Please note that the notebook uses a gigabit version of the network controller - it ensures fast data synchronization with an office server and quick backup procedures. Even though the new wireless standard (802.11n) is still in beta stage, there already appear real products. In this case FSC decided not to rush things and wait until the standard is approved in order to offer a hundred-per-cent compatible solution to clients. The UMTS/GSM works well in our parts. We've tested it with a Moscow provider - MTS. Data transfer rates were not very high, though. Dimensions and positioning of the notebook dictated the choice of a hard drive - 1.8'' hard drive from Toshiba. Lower spindle speed than in popular 2.5'' hard drives is practically unnoticeable to users. In return, twice as low power consumption makes a significant contribution to battery life. 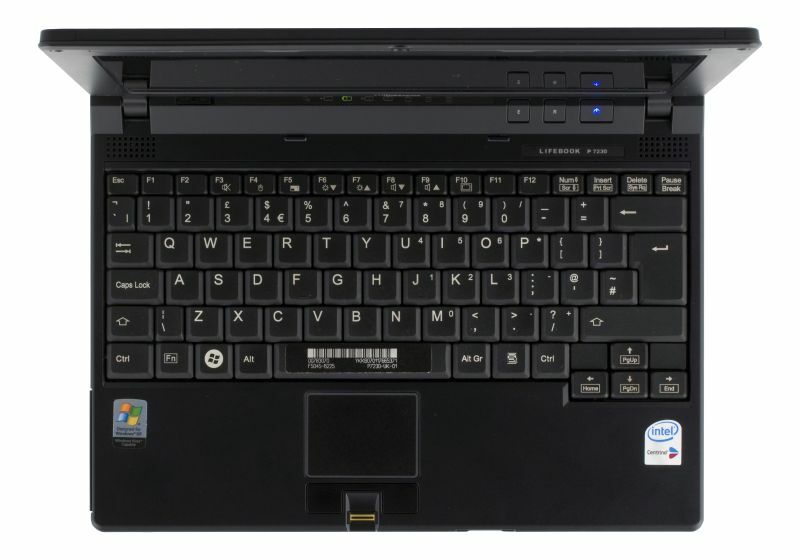 The notebook is equipped with an accelerometer, which raises reliability of the hard drive in case of emergency. Despite the compact dimensions, the notebook has a built-in multiformat optical drive. The MATSHITA UJ-842S supports all DVD and CD formats, including double-layer discs and DVD-RAM. Maximum DVD speed is 8x, CD - 24x. The audio system is based on the HDA codec from SigmaTel. Built-in stereo speakers provide only basic functionality. You'd better use high-quality headphones or a Bluetooth headset for music and movies. If you need to output multi-channel sound, you will have to use S/PDIF on the port replicator. Two microphones are used in the notebook to raise quality in voice applications - we have already seen a similar solution in the Q2010. A VGA web camera is built into the upper part of the display frame. Unfortunately, we failed to determine the manufacturer. In sufficient lighting conditions the camera works well enough, so you can participate in video conferences, for example, using Skype. Additional ports for SD/MS/xD cards are based on a chip made by Ricoh. This manufacturer is also selected for the FireWire controller. As far as configuration peculiarities are concerned, we can mention the lack of the Express Card slot, which may become useful in the nearest future. On the other hand, configuration of this notebook is so perfect that it does not need external devices for the majority of tasks. 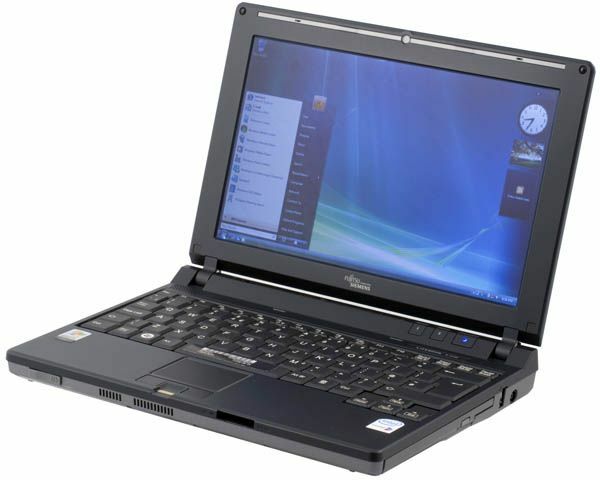 Exterior of the LIFEBOOK P7230 agrees with the image of its manufacturer - stylish and reliable. It's not as refined as the Q2010, of course, but its paternity is evident. The general strict black-and-gray palette is spiced up only with a silver line in the upper part of the display frame, where a camera and two mics are placed. The front panel houses the PC Card eject slider, a vent grid, and a card reader. The right flank is occupied by the optical drive, a USB port, and a power connector. The left flank - PC Card slot, 4-pin FireWire and USB under it, vent grid, headphones-out, mic-in, VGA port. The rear panel contains only a LAN port (to the left of a user) and a battery. Note that the notebook has only two USB ports, and their layout is not usual - the right port is arranged vertically, the left port is placed very low. So if you plan on using flash drives and other devices very often, you will have to get used to it. The bottom contains several compartments for some elements. The smallest compartment contains a Sierra Wireless MC8755V card (by the way, you can read IMEI on the product, if you need it). The cover of this compartment is the only one to have additional vent holes. A SIM card for the wireless module is installed under a battery into a standard slot. The second larger lid hides a single memory slot. Our sample uses Samsung 1 GB, PC2-5300S-555-12-A3 (M470T2864AZ3-CE6). The third lid covers a 1.8” hard drive. The hard drive is secured with rubber "cubes" and connected with a flexible cable. The magnesium bottom is also covered with leather patches. We've already seen this heat-insulation solution in the Q2010. Docking connector for port replicator is covered with a door. The main group of indicators (HDD/optical drive, two LEDs for each battery (status and charge), NumLock, CapsLock, ScrollLock) is on the top edge of a special protrusion over the display. So all the LEDs are visible when the notebook is closed or open. The same edge also houses a wireless switch, FSC's standard buttons to enable a power saving mode (it disables some idle devices, you can configure this mode), to launch a backup utility in the restore mode, and the power button with a blue LED. There are two small speakers over the keyboard. The P7230 uses HDA features to connect several microphones. In this case there are two of them in the upper part of the display frame. The web camera is located between them (you cannot adjust its position - on one hand, it's less comfortable, because you have to sit in a certain position during a video conference; on the other hand, the frame looks elegant). The keyboard is similar to the standard ones. The only significant sacrifice is a narrow right column (it usually contains Home, End, PgUp, PgDn). These functions are delegated to Fn combinations with the cursor keys. The keyboard can be used to adjust display brightness (eight steps), volume, disable touchpad, and control video output to an external monitor. There is a small "rough" touchpad with two buttons and a fingerprint sensor between them below the keyboard. The sensor also acts as a scroll button. The size of the main keys is 17.5x16 mm, the cursor keys are narrower - 17.5x12.5 mm, the upper row of function keys is the smallest - 15x9 mm. Note that the photos show an "international" product. The notebook for the local market will most likely not differ much in its layout. We weighed the notebook with its battery and optical drive - 1.37 kg. It's an excellent result for such a functional notebook. The AC adapter with cables (over three meters in total) weighs 310 g. Note that it lacks a power indicator. As the notebook uses a low-voltage processor, we didn't expect problems with overheating and noise. However, we should not forget that the case is not large. This fact complicates the task for engineers that design the cooling system. The bottom heats noticeably, when you use the notebook for a long time under heavy load. Noise from the cooling system is acceptable. The situation is prettified by the above mentioned special design of the bottom. Besides, we shouldn't forget that we test a pre-sale sample, and this manufacturer usually fixes such problems in production-line notebooks. Judging by the photos on the official web site, the port replicator is quite a compact device (its depth is less than half of the notebook). You can easily connect the notebook to it when you work in stationary conditions. The optical drive can be hot swapped to the second battery or a hard drive. 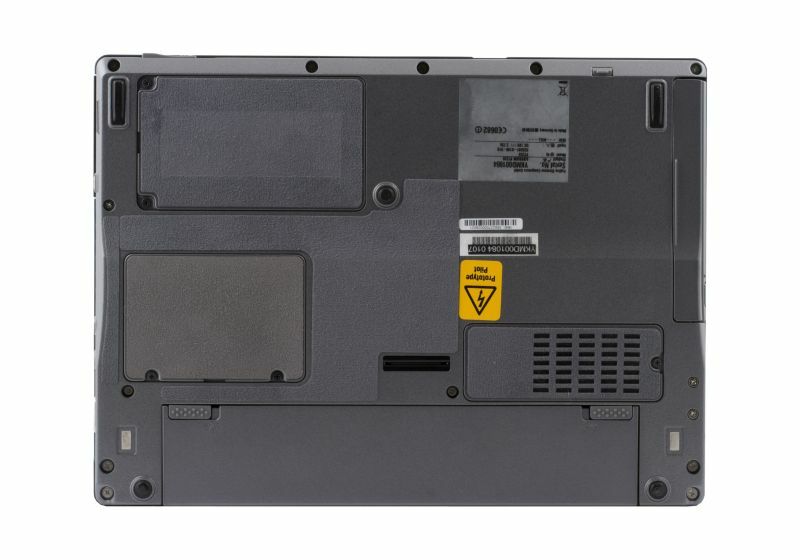 Like other LIFEBOOK notebooks, the P7230 uses AC adapters, port replicators, and modular devices compatible with previous models of this family. We tested the panel by our standard procedure. The notebook was plugged to the supply line, its brightness was set to maximum. As this is a small panel, we haven't tested backlight uniformity. min., % max., % P¡R Horiz. Vert. The average response time of the panel is 23 ms. It belongs to the largest group of results from 20 ms to 30 ms, an excellent result for a business notebook. Only multimedia notebooks demonstrate the best results. This panel is very bright, this is typical of large multimedia or gaming devices. Perhaps it's the effect of the LED backlight. It may be the reason of bright black background, which results in low contrast. Horizontal angles of view are on the average level. Vertical angles are quite small. It may be inconvenient for such portable notebook designed for operation not only on a desk, but also in an aircraft or a car. Battery life and general performance of the notebook was benchmarked with BAPCO MobileMark2005. Results show the number of minutes the notebook worked in each test in battery mode. We also published the performance score in parentheses for the Productivity scenario. The notebook was tested with the standard Portable/Laptop power scheme, where we disabled the option to change display and HDD modes when the notebook is idle. The display was set to maximum brightness. This notebook performs on a par with other devices with single-core 1.2-1.66 GHz processors from Intel. But don't forget that MobileMark2005 does not use multiprocessing. The fastest mobile processors can offer twice as much performance, of course. But they are used in notebooks of another class, mobile notebooks do well with Intel Core Solo U1400. The P7230 has one of the best battery lives. Over four hours in the Productivity test - only several notebooks recently reviewed in our testlab can repeat this result. Similar conclusions can be drawn from other scenarios. This time we didn't use bundled power management utilities, so they might have improved the result. 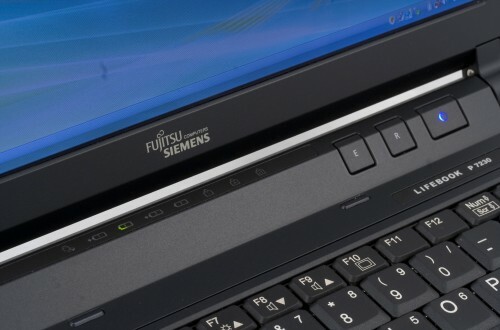 The Fujitsu Siemens Computers LIFEBOOK P7230 is an excellent notebook for a traveling user. It's compact, light-weight, it has a long battery life, and features excellent communication functions - you will be online practically everywhere. Besides, you will not have to make compromises, both in terms of configuration and security. All necessary devices are already built into the notebook - an optical drive, a web camera, etc. The digital array of microphones significantly improves the quality of voice applications. The high-speed communication module installed in the notebook can be actively used in 3G networks. When they are not available, it can work as a GSM/GPRS modem. The second battery can be used in place of the optical drive, so that the notebook can work for a whole day, you don't have to plug it to the mains. The fingerprint sensor and the accelerometer provide an additional level of security. This notebook is expected in stores in October. Its estimated cost will be $2500 and higher. The bundle will include a port replicator as well.